The former chief operating officer of a Massachusetts software design company was arrested Wednesday on a two-year-old indictment accusing him of failing to disclose a $10 million investment in his company from a suspected terror financier. Buford George Peterson is charged with making false statements on a Small Business Administration loan application to hide the fact that a Specially Designated Global Terrorist held a substantial stake in Ptech. The Quincy, Mass.-based company made computer software for management systems. Among Ptech's customers were the FBI, IRS, Federal Aviation Administration, the departments of Education, Veterans Affairs, Energy and Agriculture, The U.S. Air Force and Naval Air Systems Command and NATO. Ironically, the loan application described in the indictment was for money the government made available after the 9/11 attacks to help businesses recover. Peterson was arrested after getting off a plane at New York's JFK airport. Peterson has been living in South Korea. Fellow defendant Oussama Ziade – Ptech's former chief executive, left the U.S. in 2005 and remains at large. The indictment has been under seal since March 2007, and came to light only after Peterson's arrest. Ziade is charged with dealing in the property of a designated terrorist, failing to block the terrorist's assets and making false statements to the SBA and federal investigators. The alleged terrorist at issue is Yassin Qadi, who invested more than $10.3 million in Ptech and obtained more than a third of the company's stock in return. Qadi was designated by the U.S. Treasury Department in October 2001 for alleged ties to Al Qaeda, a move that was supposed to freeze his assets. Ziade was aware of the order, the indictment said, but did nothing to block Qadi's assets. Rather, he arranged a series of transactions designed to hide them. When federal agents questioned Ziade in December 2002, he claimed he didn't know the amount of Qadi's ownership interest in Ptech. The indictment cites a 1997 letter in which Ziade called Qadi "the major shareholder as well as a key member of the board" of Ptech. 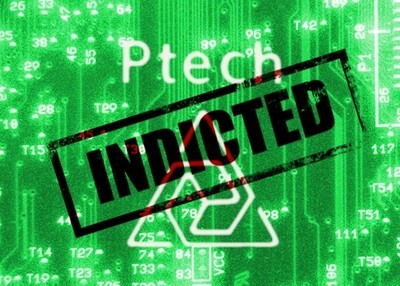 Other Ptech employees and investors are suspected of their own terrorist ties. For example, Muhamed Mubayyid, was convicted in 2008 for conspiring to defraud the United States and obstructing the IRS through his work with a charity called CARE International. Prosecutors said Mubayyid's deception was meant to cover his work with CARE, running "a subsidized propaganda and financial support conduit for certain violent terrorist organizations around the world." CARE International served as a successor to the Al Kifah Refugee Center, prosecutors said. The government shut down Al Kifah in 2001 after determining it was a predecessor to Al Qaeda created by Abdullah Azzam. Azzam was considered a spiritual influence for Hamas and a mentor to Osama bin Laden. M. Yaqub Mirza was a Ptech board member who also was a longtime officer at the Herndon, Va.-based SAAR Foundation. Federal investigators havelong believed that SAAR officials were significant members of the Muslim Brotherhood in the United States. Dozens of homes and offices related to the SAAR Foundation were raided in March 2002 by federal agents investigating terror financing. Information from that raid was used in the Ziade investigation. One SAAR subsidiary, Sterling Management Group, held a small ownership stake in Ptech, which included a Virginia-based subsidiary called the Sterling Ptech Fund, LLC. Soliman Biheiri, a Ptech co-founder, was convicted in 2004 for illegally concealing his extensive business and social relationship with Mousa Abu Marzook, a designated terrorist and leader of Hamas. Qadi, meanwhile, has not been charged with any crimes and denies the allegations that he helped finance Al Qaeda. Foreign governments have reached conflicting conclusions about him. He remains designated as a global terrorist by the U.S. Turkey has moved to freeze his assets, too. Swiss prosecutors, however, closed their investigation into Qadi in 2007 with no charges filed.